Deer have long been associated with the winter holiday season. 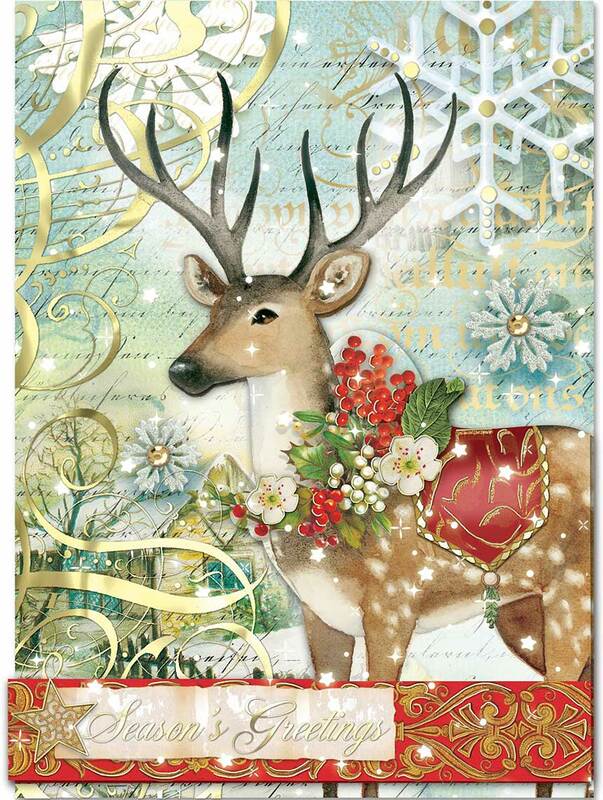 This Christmas card features one such elegant creature! 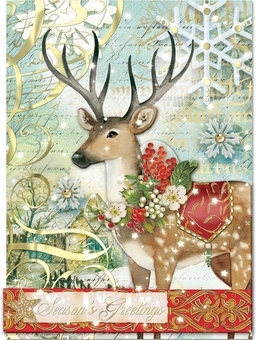 The buck has an impressive set of antlers, and wears a wreath of flowers and holly berries around his neck. Fanciful snowflakes and ribbon-like designs swirl around the majestic creature, accented in gold foil and with gems for added sparkle.